Do you want leads, phone calls, or sales on your site? Do you want to hit a certain cost per conversion? See who is ranking at or near the top; not the ad copy and offers used. Take a look at their landing pages too. Read reviews – what do they love and hate? 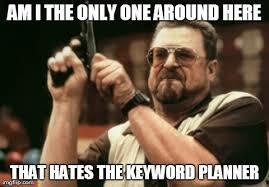 Use small keyword lists , 5-10 keywords long. Keep the lists very focused. Focus on the keywords that are most likely to convert. Keep all the keywords as exact match. Eliminate the keywords that that aren’t getting clicks and conversions, and expand the lists of the keywords that are. Each keyword, ideally, would be in its own ad group, with its own ads, and its own landing page. Keywords that contain the terms “review” or “information” should be more educational and informative. Have different campaigns for Search and Display Networks. Have different campaigns for mobile and desktop traffic. 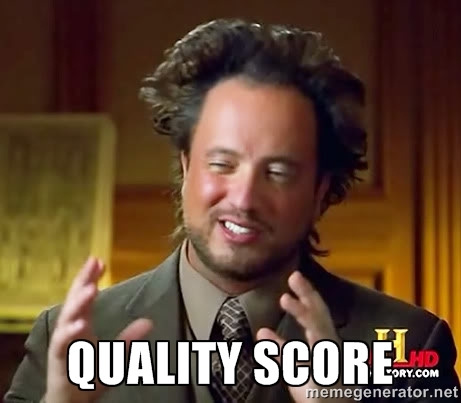 Place 3-5 ads in each ad group and delete the lowest performing ad after each has had at least 35-40 clicks. Use negative keywords to ensure that there is no ‘cross-over’ between groups. Every single campaign needs negative keywords, unless you use on exact match keywords. Use the SEARCH TERMS report to find negative keyword ideas. To navigate to this report click on the Keywords tab, then the Details drop down menu. Common negative keywords include those relating to jobs, employment, definitions and reviews. This is required for larger campaigns. You can set up rules to increase bids on the best performing keywords, and vice versa. Set up email alerts to keep track of any automated changes. Bid in between for phrase and modified broad. Modified broad match and exact match should be the focus / main match type of most campaigns. Have less than 10 keywords in each ad group. Keep it less than 5 if possible. It’s more difficult with larger campaigns. Dynamic Keyword Insertion (DKI) allows you to create 1 single advert that will update based on the user’s search query and the advertiser’s ad group. Be very careful however, although using DKI can improve performance and CTR, if the time and effort aren’t put it to set it up correctly, it can cost you money. Take into account misspellings, and test it properly. Bid more aggressively for people on the remarketing lists, as they’ve already shown an interest and are more likely to convert. See the description of remarketing lists on the Google website. Wherever possible, segment reports by device, location, network etc. and do the same with the campaigns to make them as specific as possible.